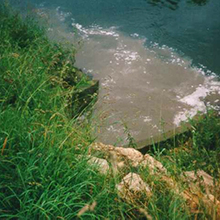 Considerable pollutant loads can enter surface waters during rain events. Three factors challenge quantification of these pollutant fluxes using traditional sampling methods: (i) concentration fluctuations; (ii) unknown event duration; and (iii) placement, operation, and maintenance of equipment. Passive samplers offer the advantage of sampling in a continuous mode without power supply. However, variable uptake rates due to environmental factors and desorption in the case of fluctuating concentrations can affect the accuracy of time-weighted average (TWA) concentration estimates. While uncertainties related to environmental factors could be accounted for with additional effort, we can neither control nor quantify the concentration variability. We present measured and modelled concentration profiles at high temporal resolution and provide a systematic approach to assessing deviations from true TWA concentration due to fluctuating concentration profiles. 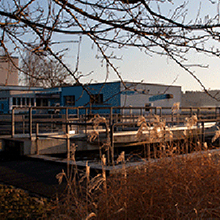 We evaluate sampling of sewer overflows (0.3–14 h) with Chemcatcher and 1-week sampling in rivers. The uncertainty due to fluctuating concentrations is small, and other factors such as chemical analyses and sampler calibration have a similar or higher impact. The uncertainty due to fluctuations clearly increases with the sampling duration, particularly when exceeding the half-life of equilibrium. We conclude that passive sampling can also be used in wastewater systems with potentially high concentration variations. Mit der fortschreitenden Digitalisierung gilt es heute als Stand der Technik, Messdaten über das Abwassersystem zu erheben, auszuwerten und zu archivieren. Wie der Wert von Messdaten für Betrieb, Planung und Leistungsüberprüfung ausgeschöpft werden kann, ist jedoch unklar. Um einen einheitlichen Einsatz von Messtechnik, z.B. an Regenüberlaufbecken, sowie einen guten Umgang mit erfassten Messdaten in der Schweizer Praxis zu schaffen, sind Anpassungen auf organisatorischer Ebene notwendig. Goal is an improved planning procedure for sustainable water supply and wastewater infrastructure management that links into the existing Swiss governance structures. 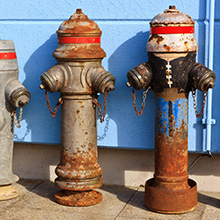 An inter- and transdisciplinary strategic research program that strives to develop novel non-gridconnected water and sani- tation systems that can function as comparable alternatives to network-based systems. Advancing estimation of illicit drug use from wastewater samples - the role of in-sewer drug transformation.